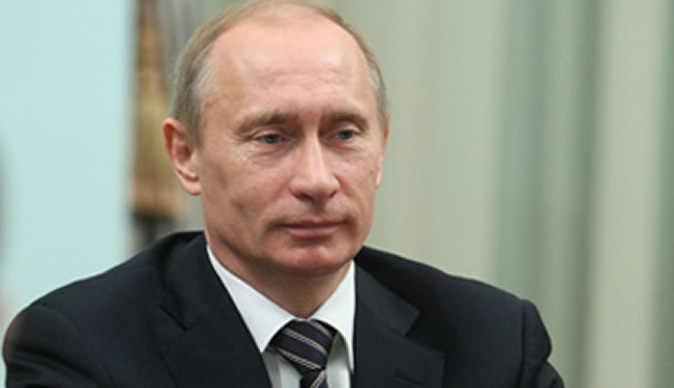 Russian President Mr Vladimir Putin yesterday congratulated Zimbabwe on attaining 38 years of independence and expressed hope relations between the two countries would blossom in line with his thrust to strengthen security and stability in Africa. The solidarity message came ahead of today's 38th independence anniversary celebrations being held under the theme "Zimbabwe @38: Social-Economic Restoration and International Re-engagement". The country became independent on April 18, 1980 after a 14-year liberation struggle against the minority Smith regime. Mr Putin said relations between Russia and Zimbabwe had traditionally been of a friendly nature and should expand to other spheres. "Please accept my sincere congratulations on the occasion of the Independence Day of the Republic of Zimbabwe," said President Putin. "I am confident that the Russian-Zimbabwe relations based on the good traditions of friendship and mutual respect will further develop in all spheres for the benefit of the peoples of our countries in the interests of strengthening security and stability in the African continent," he said. Mr Putin wished President Mnangagwa good health and success. "I wish You, Dear Mr President, good health and every success, as well as peace and well-being to all the citizens of Zimbabwe," he said. Chief Secretary to the President and Cabinet, Dr Misheck Sibanda also congratulated the country for attaining 38 years of independence. "The Chief Secretary to the President and Cabinet, Dr Misheck J. M. Sibanda, deputy chief secretaries and senior management and members of staff in the Office of the President and Cabinet proudly join the nation and His Excellency the President and Commander-in-Chief of the Zimbabwe Defence Forces, E.D Mnangagwa in celebrating Zimbabwe's 38th Independence Anniversary. "We hold in high esteem our timeless heritage of freedom and the right to self-determination bequeathed to us and future generations through the supreme sacrifices of our gallant revolutionaries," he said. "This year's Independence anniversary is historic in that it comes at the cusp of a new dispensation for our great country premised on the mantra "Zimbabwe is open for business. "The new Government administration, through its renewed emphasis on economic development, re-engagement with the global community and responsiveness to the citizens' concerns, has ushered in a pervasive sense of hope for a brighter future characterised by prosperity, unity and peace." Dr Sibanda pledged support and hard work for the attainment of President Mnangagwa's vision for the country. "As the Office of the President and Cabinet, we shall continue to work tirelessly towards the realization of His Excellency's vision to transform Zimbabwe into a knowledge-based middle income economy by 2030 as part of efforts to consolidate our Independence," he said. In statement posted on their website yesterday, the MDC-T leader Mr Nelson Chamisa urged Zimbabweans to join hands in celebrating the country's independence. "Tomorrow (today) is Independence Day and every patriotic Zimbabwean must take time to reflect on the supreme national sacrifice in which the sons and daughters of this land paid the ultimate sacrifice while some lost their limbs so that the whims of future generations could walk again," said Mr Chamisa. "Some of us are proud of the liberation legacy and the successful quest by Zimbabweans to reclaim their dignity from an oppressive colonial regime." He added: "Even as a post-liberation political formation, we stand for the continuation and perpetuation and not the negation or opposition of the liberation project. "We are proud and patriotic Zimbabweans and tomorrow (today) we will be joining the rest of the nation in paying tribute to that invaluable chapter in our national story." In a joint statement yesterday, Crisis in Zimbabwe Coalition (CiZC) spokesperson Mr Tabani Moyo and its acting director Mr Thulani Mswelanto, described today as an important day for the nation.